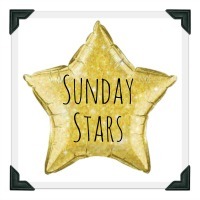 The Sunday Stars linky, is the best place to link your favourite post each week. Myself and a bunch of other lovely bloggers have decided to start this linky together. We wanted to create a place where all our favourite posts from the week could be easily found and then thought why not let everyone join in too! We are going to take it in turns each week to host but we’ll all be commenting and re-tweeting! This linky is designed to give everyone a place to show off the posts they’re most proud of and make sure they don’t go under the radar! Tweet us your posts to @SundaysStars using the hashtag #sundaystars and we will RT. You can link up 1 post. This can be an old favourite or brand new, anything that you are really proud of!